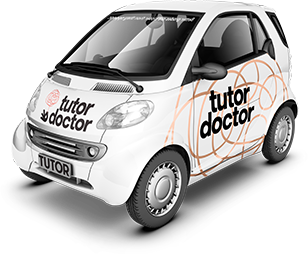 Tutor Doctor, the fastest growing “at-home” tutoring franchise worldwide, continues to grow in Australia as the demand for private tutoring explodes. The demand for more Science, Technology, Engineering and Math (STEM) courses is turning parents and students to seek extracurricular help, driving the growth for brands like Tutor Doctor, the nation’s leading one-on-one in-home private tutoring franchise, whose services have helped more than 200,000 people, and projects to assist 35,000 more in 2016. According to the Small Business Administration, more than half of all U.S. businesses are based out of the owner’s home. Of these home-based businesses, Tutor Doctor, a personalized one-on-one, in-home tutoring service franchise, was ranked as the no. 1 tutoring franchise in the home-based business category on the Top 100 Global Franchises list conducted by Franchise Direct. Tutor Doctor, the fastest growing “at-home” tutoring franchise worldwide, recently awarded Sharon Favreau of Tutor Doctor Frisco with the 2013 ‘Tutor of the Year’ award. Tutor Doctor, the in-home tutoring specialist, has been continuously recognized as a leader in this recession-resistant industry. Over the past three years, consumer spending on tutoring has increased 7-10% each year. Tutor Doctor of Prior Lake, MN, has been honored with a recognition by Minnesota Local in its selection of “Readers’ Choice.” Announcing a special recognition appearing in the October, 2012 issue, Tutor Doctor was selected for the following honor: “Readers’ Choice”. Tutor Doctor of Santa Clara County owner Scott Hunter was awarded the Oak Grove School District’s Vision Award for Maximum Use of Resources at the recent Board of Trustee’s meeting in San Jose. Mr. Hunter was part of a group of teachers and parents recognized for their work at district schools.